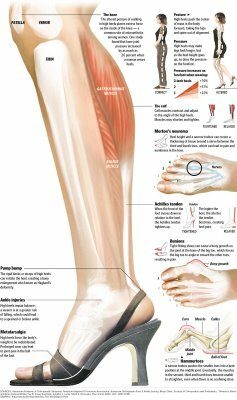 Here's a powerful visual to drive home the message that high heels are bad news for your feet. One alternative is going barefoot. (Click to view the full-sized image. Naked men on the world's tallest elevator?